USAID’s Strengthening Partnerships, Results, and Innovations in Nutrition Globally project (SPRING) is a six-year project to strengthen global and country efforts to scale up high-impact nutrition practices and policies, and improve maternal and child nutrition outcomes. 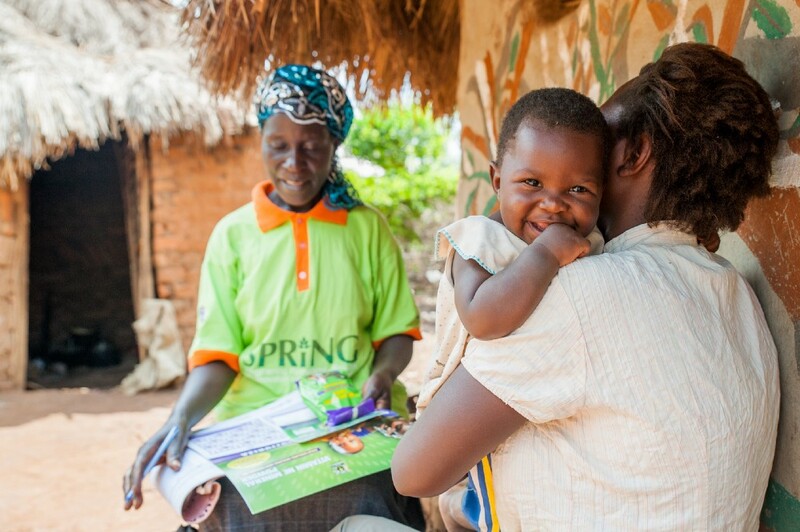 SPRING focuses on preventing stunting and maternal and child anemia in the first 1,000 days. 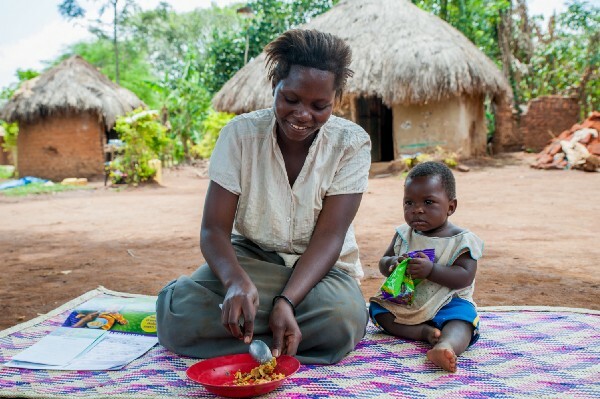 Here USAID shares a story highlighting how added vitamins and minerals are improving nutrition where it is needed most in Uganda. Did you know that much of the bread, pasta and other wheat-based products considered staples of many American diets are made with fortified wheat flour, or flour that has had folic acid, iron and other nutrients added to it during the production process? The United States has been fortifying staple foods like flour for decades as a way to ensure Americans get necessary vitamins and minerals, also known as micronutrients. These efforts have had great success, and food fortification has been deemed a simple, cost effective and inexpensive way to boost nutrient intake and protect against nutritional deficiencies. But, in certain parts of the world, vital micronutrients can be difficult to get from the foods that are commonly available. That’s what happened with Rahimu, an 8-month-old child from rural Uganda. Rahimu was not receiving the nutrients he needed to thrive from the foods available in his community. He had a poor appetite and lacked the energy to engage with the world around him like most curious 8 month olds. In Uganda, only 14 percent of children 6–23 months old receive a diverse diet of vital micronutrients. A diverse, nutrient-rich diet is the most sustainable way to prevent the negative effects of micronutrient deficiencies, such as anemia and other conditions, which can permanently impede children’s physical and cognitive growth, increase maternal and infant morbidity, and in extreme cases, lead to mortality. To address these issues, Uganda’s Ministry of Health began working with USAID in 2016 on a project to make fortified foods and supplements available to communities that cannot receive these necessary nutrients from their local food sources. Could micronutrient powders be a short-term solution for children like Rahimu? That’s what USAID and its partners are working to determine. Micronutrient powders are supplements in powder form that are packaged into single sachets. Caregivers sprinkle the contents directly onto children’s food at home. These powders are designed for children ages 6 months to 2 years old, and generally contain iron, vitamin A, zinc and sometimes other nutrients, depending on the target population’s needs. Rahimu’s mother started adding micronutrient powders to his morning and evening porridge about six months after he was born as a complement to breast milk. After only two months of mixing the micronutrient powders into his food, she is seeing vast improvement in his growth and development. 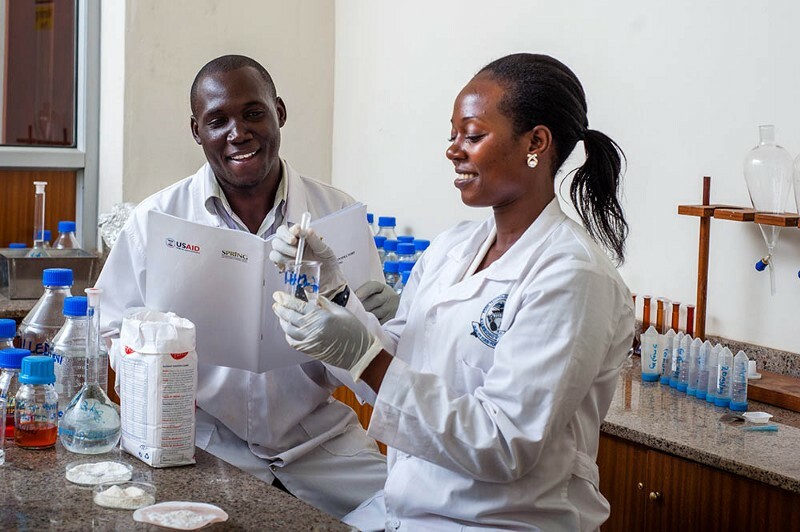 USAID supported the testing of two strategies to help caregivers access micronutrient powders: through community health workers in homes and through nurses in health facilities. The program trained over 330 community-based health workers and over 170 clinic-based health workers on the benefits and use of micronutrient powders, how to counsel caregivers about use and storage, and how to manage stock levels. Through these efforts, USAID identified that regular micronutrient powder use among children was higher when community-based health workers educated families on their use at home rather than at health facilities. Over the nine-month pilot period, USAID reached more than 22,000 malnourished children within the target district. Micronutrient powders are only one piece to a larger puzzle of ensuring those in need receive vital micronutrients. Mass fortification efforts, like those in the United States, are another pivotal way to reach broader populations. Building on America’s success in preventing nutritional deficiencies through food fortification, USAID has been working with the Government of Uganda to adopt micronutrient fortification nationwide. Even in remote areas, cooking oil and flour or flour-based products are accessible in local markets. Mass fortification of these foods with micronutrients would be a cost effective way to impact health and nutrition on a large scale. 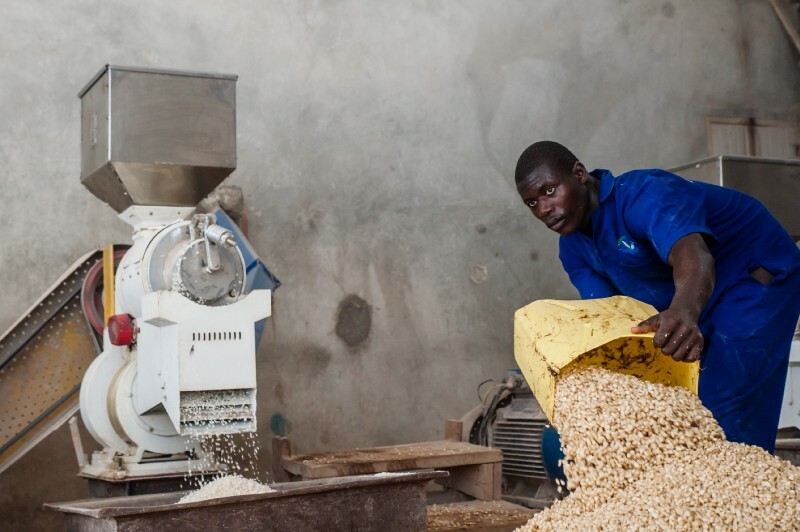 National fortification regulations are now in place in Uganda, and officials there are working to ensure workers involved in all stages of the fortification process know how to determine if products comply with those new rules. The government-approved logo — similar to the seals of approval on U.S. food packages — has been distributed on more than 52,000 posters, fact sheets and cut-outs aimed at encouraging consumers to seek out enriched foods. Add to that radio talk shows, events, theater performances and video screenings. Through these efforts, USAID is improving the health of women and children in Uganda, as well as determining best practices that can help other countries apply similar approaches to improve nutrition.